... so I sadly tend apply the rule carte blanche. Sadly that doesn't make any sense. Perhaps they thought that they could burn less fuel and cut down on airframe hours, if there was no F in Pacific? The quality control was too lose. 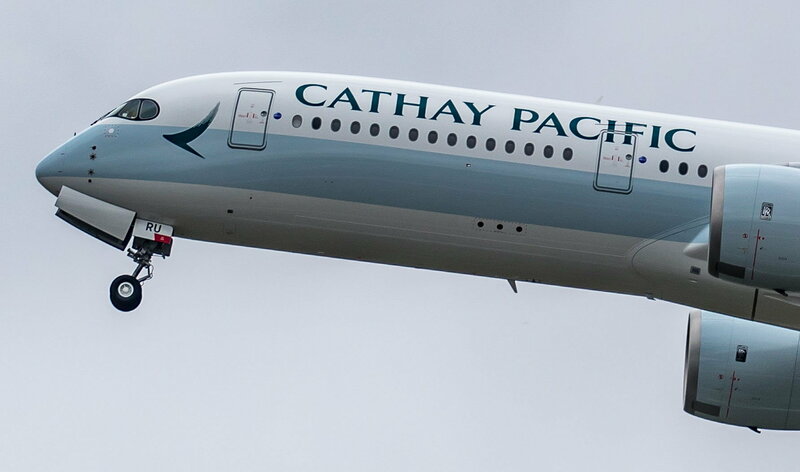 It looks like the words Cathay and Pacific were stencilled independently, with "Pacific" being stencilled from C backwards. If the painters forgot the F that would explain the misspelling and the large space between the two words. Now if it was an aeroplane it wouldn't be too short! The first RAF VC10 to be repainted by an outside contractor, ( Luton I think ) had the fin flash reversed so it was in effect the French Airfarce one. It took a while for everyone to realise, as people could see something was wrong with the scheme, but couldn't quite figure out what it was. It was back at Brize for a while before it was noticed. The first RAF VC10 to be repainted by an outside contractor, ( Luton I think ) had the fin flash reversed so it was in effect the French Airfarce one. BA (may even have been BEA in those days) painted a few RAF VC-10s (in a rather attractive orange-peel finish, IIRC). Probably not what you're think of, but back in the late 1970's (when I was a fresh faced new-hire at Boeing), Braniff had ordered up a bunch of 727s. The had an interesting paint scheme known as "Flying Colors". 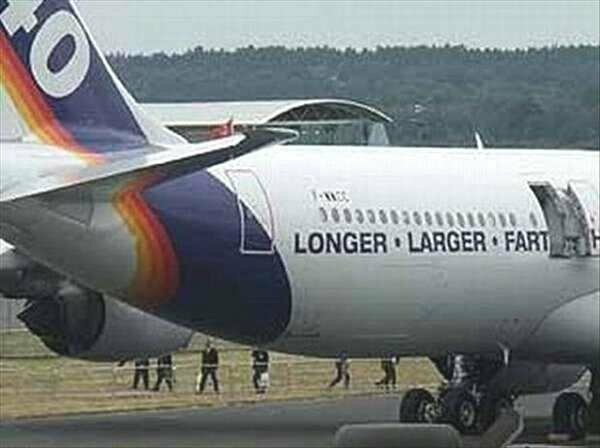 The aircraft was painted one uniform color - although each aircraft was a different color (some of them rather garish) - and along the side of the center inlet it said in rather large letters "Flying Colors". There was an access panel which matched up with the 'l' in colors - which was routinely left off so the had a bunch of "Flying Coors" 727s on the Renton flight line (Coors being a popular brand of beer in the US - sometimes compared with making love in a canoe). It was Starbucks. 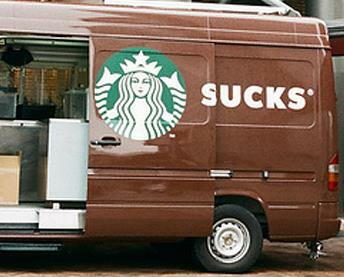 But if you Google "starbucks van with door open" and click on the "images" link you'll find a whole bunch of others too!